The developers behind Monroe Street Market, a major mixed-use project that has helped revitalize the Brookland neighborhood, are moving forward with its final phase. 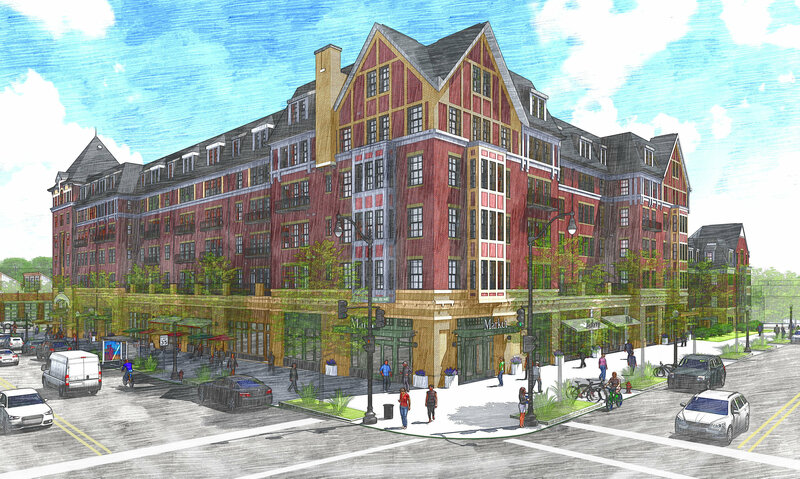 Bozzuto, Abdo Development and Pritzker Realty filed plans with the Zoning Commission to modify the approved Block E of the project with 156 units and 23K SF of retail, Urban Turf reports. With the revised plan, designed by Maurice Walters Architect, the team added a second residential lobby, included more landscaped space and changed the color palette and materials. The team also seeks to reduce the building's parking component from 171 to 99 spaces, given the lower-than-expected demand for parking in the existing buildings.